A council charged with recommending how the state could reduce poverty wants to impose a $2-a-night lodging fee to help pay for affordable housing and other initiatives. More than 90 percent of hotel patrons come from out of state, said Christopher Curtis, a Vermont Legal Aid attorney and co-chair of the 30-member Council on Pathways from Poverty. The fee would raise $12 million a year. The council also recommended a cap on the state’s mortgage interest deduction, which would generate about $1 million. That, too, would be earmarked for affordable housing. Currently, deductions are allowed on mortgages valued up to $1 million. The council suggests reducing the upper limit to $500,000. The council issued a report Thursday that offered dozens of recommendations to attack poverty. Some would require funding, such as a call for higher childcare assistance and bigger grants to low-income families under the state’s Reach-Up program. The group also suggests taking $2.5 million from the $4 million now spent on vouchers for motel rooms for the homeless and investing it instead in an array of housing-assistance programs. That could reduce the number of people who need emergency housing. The council also urged lawmakers to enact policy changes to make life easier for Vermonters with limited incomes. The group wants a law that forbids employers from including a box on job applications asking about criminal convictions. The governor already used an executive order to “ban the box” on state job applications, which the council applauded. The council also supports a House bill that would mandate that employers offer paid sick leave, and a Senate bill that would allow dental therapists to provide basic dental services. The council had a message for the legislature, which returns in less than three weeks to tackle another challenging budget. 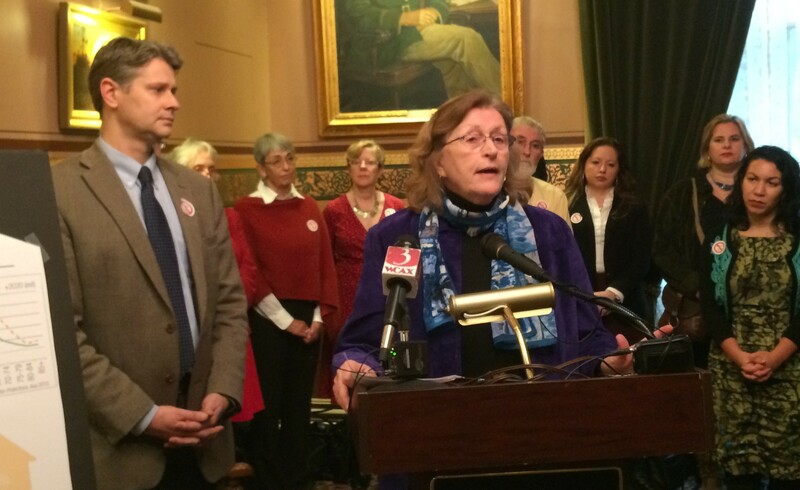 “We have got to end the ceaseless cutting of the safety net in Vermont,” Curtis said. Paring programs that help the state’s poorest residents is essentially taxing them, he said. “It is wrong,” he said.